A brow lift or forehead lift is a popular form of elective plastic surgery today. For many of the older generation, growing old can be not only a daunting prospect but it can be extremely hard to deal with as many of these individuals are not quite ready to say goodbye to their youthful looks and essentially still feel young at heart. For some people it is important to look as young as they feel, and this can be helped by a brow or forehead lift. The brow or forehead lift surgery is a surgical solution to reduce the amount of excess skin, which has lost its elasticity over time. This can add unwanted wrinkles and rolls of skin to the forehead, which can add years to a person’s appearance. In order to expedite the process of looking young again, these individuals may have more than one surgery at a time, combining the brow lift with both a face lift and upper eyelid or even an upper lip procedure, which can help reduce a person’s age by up to 10 years if done well. There are two types of brow lift surgery and it is usually up to both you and your chosen surgeon to go through the positives and negatives of both kinds of technique. The first kind of technique is known as the classic lift and involves one continuous incision, which begins at your ear level and continues up following your hairline around to the other ear. 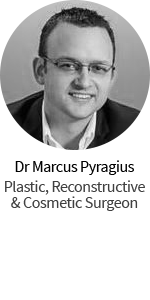 This is an ideal incision site, as it falls within your natural hairline, which results in the scar becoming invisible once the healing has finished. The second kind of technique is known as the endoscopic lift, which is where the surgeon makes a few small incisions in your scalp. Once these incisions have been made, the surgeon will then insert an endoscope, which is a small camera, which is attached to a long rubber tube. An endoscope makes it extremely easy to maneuver around underneath the skin, without having to make a large incision. The need for a few small incisions means that the endoscope can be inserted into one hole and other surgical apparatus can be inserted in the other meaning that they can both see and complete the necessary steps required for a brow lift even thought there are only a few small incisions. In addition, the surgeon will use a piece of surgical equipment, which is known as an anchor, which anchors the tissue, securing it in place before withdrawing the endoscope and suturing the incisions. This technique is slightly less invasive than the classic lift as it has minimal scaring and has a reduced healing time. This procedure is usually conducted in your surgeon’s outpatient clinic. There are two different kind of anaesthesia you can receive when having this surgery. With the classic brow lift, it is expected that the individual will undergo a general anaesthetic, as this is an extremely invasive procedure, which cannot be conducted under a local anaesthetic. It can additionally be quite a painful procedure, so it is advised that the individual has the surgery under general anaesthetic. If this is the case, then the surgeon will usually keep you in overnight to ensure that there are no complications or reactions to the anaesthesia. If however, you are having the endoscopic brow lift, this can be completed under local anaesthetic and light sedation, as it is less invasive than the classic brow lift. As with all procedures, there are a number of risks that can be associated with having this procedure. The risks depend on which technique you are having. When having the classic brow lift, the individual will require a general anaesthetic as well as staples, to close up the wound. These staples will have to be removed a few days after the surgery. If the individual has the second technique, where the surgeon uses the endoscope, this type of surgery does not require staples; the incision will be stitches up using dissolvable stitches, which will not have to be removed. Whether the individual has the classic or the endoscopic brow lift, the risks and complications associated with a brow lift are the same. Pain is one significant risk and complication. Pain can affect not only the upper half of the face, but also around the scar and can feel like a tension headache. The surgeon will prescribe pain relief for a little while after the surgery, however if the pain persists and increases, then it would be advised to seek medical attention. Scar issues such as keloid scaring are a possible side effect from any surgery requiring incisions. This is where the scar becomes raised and red and can also be painful. It is also very unappealing and not aesthetically pleasing. If you are having the classic brow lift, then this is where the incision is made from one ear to the other going up and across the forehead being made on the hairline. If you have a history of keloid scaring then the classic brow lift may not be the correct procedure for you. The surgeon may suggest that you have the endoscopic brow lift, as there are only a couple of incisions made reducing the risk of keloid scaring immensely. Q. Approximately how long does this procedure take? A. This procedure usually takes less than two hours. Q. Will my insurance pay for this procedure? A. 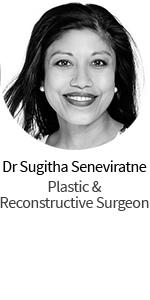 Unfortunately, unless you have a medical disorder which requires a brow lift to help with the medical issue, then the insurance is unlikely to pay out, as this is an elective plastic surgery. Q. Are the results of this surgery permanent? A. The brow lift effects are permanent however, there is no cure for aging and this process will still continue. Some individuals only have to have a brow lift once however, there are some that need two or three. It all depends on individual differences.